YA writer Larissa Hinton is always working on both her writing and her marketing efforts. Read more about some of the specific services she uses and her advice for finding your target audience. 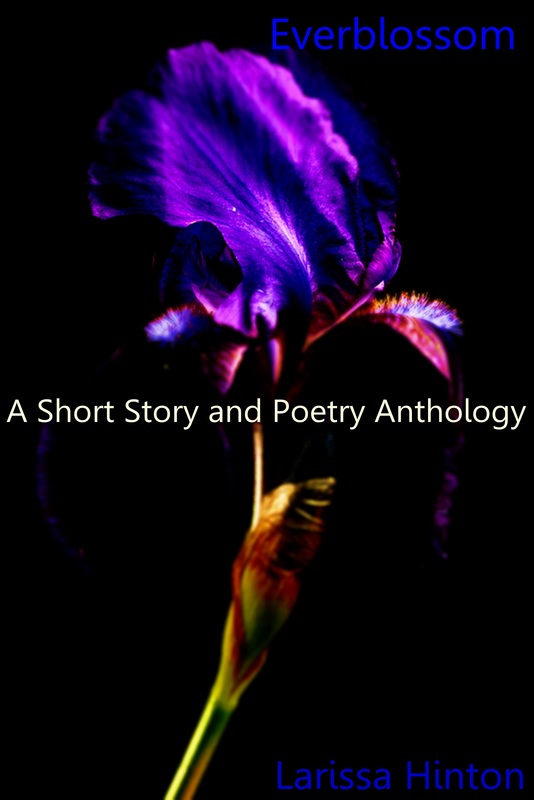 Everblossom is a journey through poems and short stories that may seem ordinary on the surface but which digs a little deeper as the world not only shifts, but changes. The author who brought you Iwishacana/Acanawishi now brings you a dash of everything from dark fantasy to the paranormal to even romance. So prepare yourself to delve into the three stages of the flower from bud to blossom then back to seed; you’ll go through them all with a whole new perspective on what it all truly means. Ah, the question everybody wants to know. Well, before I self-published, I was a staunch traditional publisher junkie. I sent out query letters to publishers and agents every summer. And I dreamed of that one day of getting the dream contract. But of course, the contract was faulty so I walked away. That was the hardest thing I had to do but I survived and started querying once again. The more I queried, the more I got frustrated that no one saw my talent. If I was talented to get a contract once, I could get it again. That’s what logic says. And during this time, a lot or people from Critique Circle loved my book and wanted to buy it and were wondering when I was going to be published. And it wasn’t just one person, it was multiple people. Yet no contract came. Instead, a professor talked about self-publishing and spouted about how much more money an author could make, but I just ignored him until Amanda Hocking’s story came to light. Then came JA Konrath’s blog. I read it and I couldn’t help but agree with his arguments. And he made me laugh. So after puzzling over the logic and what I thought was my dream of trad publishing, I decided to self-publish. In short: I decided to self-publish because I was tired of waiting for someone to give me the green light. Instead, I decided to believe in my books and my readers to find them. I decided to self-publish and not look back. And I’m glad I did. I technically have, actually. My short stories have recently been accepted by a traditional publisher, but I do not consider myself traditionally published since most of my work is self-published (or soon will be). I love it. There have been bumps in the road (the learning curve has been huge) but I wouldn’t give it up for anything! I have used the following marketing techniques: book reviews, author interviews (visiting other blogs), tagging books, constantly promoting my blog, and giveaways. I have to say the biggest boost I’ve had in sales was when I got some reviews. I did get a recent sale from the UK because of a book tagging party! There hasn’t been a marketing technique I’ve stopped completely. I have avoided giveaways though because I’ve given away over 100 copies of Everblossom and I think it’s time for the sales to start flowing in (especially since I spent money on developing that story). I will do a giveaway for Angel Diaries but not until I release it. And even then, I’m debating about that since Angel Diaries took such a long time, has great potential, and has cost me a pretty penny since it’s such a thick book. So giveaways are not my favorite, but I’ll probably do it in the end. I recommend giveaways and book reviews. I highly recommend trying to contact as many book reviewers as possible to get them to post their reviews on Amazon and Barnes and Goodreads at the very least. I thought that it was important to get reviews on blogs, but I learned that getting reviews on blogs and Amazon is even better exposure. Additionally, I think giveaways are a great way to get people to get a taste of your writing. I would also tentatively recommend tagging books (through Writer’s Cafe on Kindle Boards). The only reason I would hesitate is because some people will mess up your tags (for some unknown reason) but it does help your book to get more exposed and connected on Amazon. So it’s mostly a plus if you’re willing to look past the fact that your tags will eventually get messed up and you will have to put some time in to tag other people’s books. How important and time-consuming marketing is. I was student-teaching for the past four months and I could literally see my sales drop to the floor. It really made me realize how important marketing is. Sometimes in the middle of marketing I wonder why I even do this, but then I think back to those months where I didn’t market at all, and sales obviously show the difference. I directly benefit from the time I spend marketing and it makes a great difference. Now I just have to figure out how to balance marketing and writing! I think I would have skipped Lulu altogether since it was such a hassle for no benefit in sales. So that’s what I would do differently. My advice: Do your homework. Do as much research as you can about indie publishing before leaping in. Get those rates for editing, cover artist, and copyrighting. Make sure you know the price you want your book, where you want to publish it, and what the percentages are for that price. Do you know your audience? If you do, then marketing will naturally follow. If you know you want to aim for teenagers, then you need to figure out how to reach those teens in marketing aspects. Lindsey’s life couldn’t have been any more ordinary. She had two guys fighting over her, a psychic friend and a school dominated by goths, but other than that, life was good. That is, until a horrible nightmare about her mother being ripped apart by a monster changes her life from the inside out. Literally. Her whole world was full of lies. She’s not even human. She’s an angel. Delve into a quirky adventure with strong, witty female characters dealing with issues in an interesting way with my YA books. They can also keep up to date about my latest books here. I posted a review of “Everblossom”, and found this post through Larissa’s blog. Good questions, and Larissa’s answers were also interesting. Thanks to Kris and Larissa for this interesting post, especially the marketing information. What btw, is book tagging?